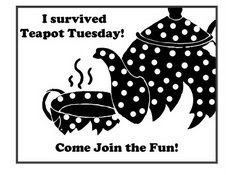 I got up early to do Mothermark's Teapot Tuesday challenge before work this morning, but (sob!) there was no post on her blog yet (sniff!). I was so sad (hiccup). Must be my poor buddy was having some Internet or Blogger issues. Hopefully, I'll be able to play after work tonight, though, because her tea parties are a riot! The gang gets a bit rowdy, but it's all in good fun. 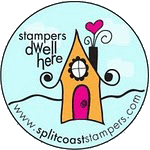 To get over my depression of no teapot to inspire me, I went to the color challenge on Splitcoaststampers, and whose sweet face should I see as this week's challenge hostess? SCHIRMCAT! Oh yes, Kelly is a sweetie and a friend to all, but you need to know that she maintains an annual naughty list for Santa. So, if you don't want to end up on the naughty list, be good to Kelly! Personally, I take great pride on having been on her naughty list last year, and am striving to keep that status. Hee! 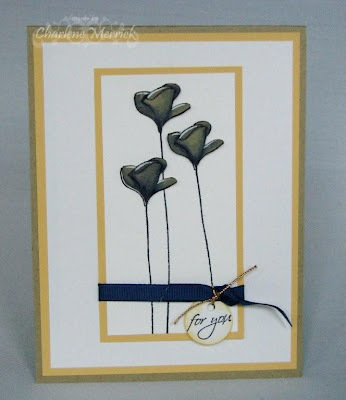 I stamped my Embrace Life flowers onto kraft cardstock and colored the bloom with Night of Navy reinker and blender pen. I added touches of white highlights with my gel pen. I cut out the blooms and popped them up with dimensionals. I kept this very simple to let someone who is undergoing a serious and major life change know that I am thinking of and supporting her. Life Lesson: Remember to count your blessings every day and be thankful for the things you do have. There will always be someone who is better off than you and someone who is worse off than you. Another beauty. Hope all is well with Cindy. This is just sooo beautiful, Charlene!! Your flowers look like they are coming off the paper! Stunning! 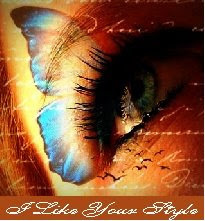 So pretty Charlene and thanks for the words of wisdom, you are so right!!!! 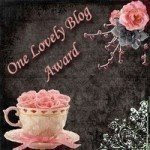 Ooops!About the teapot post! Giggle! Well, its a good thing I messed up cuz this wonderful little card got created! Its awesome, those are some cool colors Kelly picked! Whoo Hoo! Love this card -- those flowers are fabulous!